Many of you may be familiar with Jeffery Deaver through his Lincoln Rhyme or Kate Daniels books. 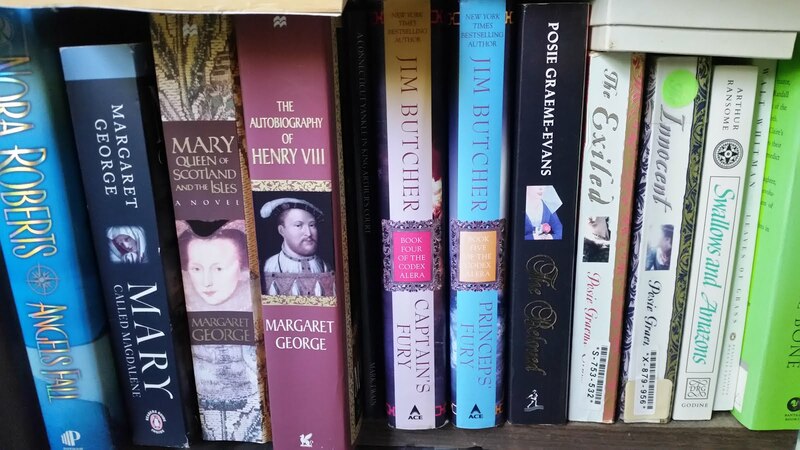 Although he has been on my To Read list as an author, I have yet to read any of his books, mainly because I have so many series going currently that I have been reluctant to start another one. I found that reading this book of short stories was the perfect way for me to acquaint myself with his writing. As it turns out, Deaver has been writing short stories for years. As it states in the sub-title, Trouble in Mind, is his third published volume of short stories. The author himself says in the Author's Note to Trouble in Mind that he began writing at age 11 with a short story (two chapters in length). His latest effort is comprised of 12 stories, most of them in the mystery/crime genre that established readers of Deaver's books would expect. For those of you who love his series, there are two Lincoln Rhyme stories, one Katherine Dance and one John Pellam. Don't worry, though, if you are not familiar with the series. I read and enjoyed all four of the stories and did not feel lost at all. In fact, I thought they were a great way to introduce me to his series and characters. A way to "try them on for size" you might say. The volume includes six other stories in the crime genre, all of which are excellent. In addition to the mystery stories there were two stories with a more sci-fi or fantasy bent. Deaver himself calls these "genre benders" and tells us that one thing he likes about writing short stories is that they "allow an author to step out of genre more easily than novels do." I would say he did a good job stepping out of genre, as one of these stories, "Forever" was my favorite from the whole book. To be honest, though, I loved every one of the stories in this compilation, and cannot wait to read more by this author. In addition, I am anxious to start at least one of his series, as the stories included here peaked my interest in them. Since I live in Northern California, I may start with the Katherine Dance books as they take place in the local area where I live. 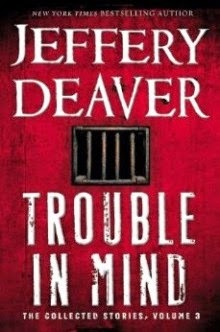 Whether you are a tried and true Jeffery Deaver fan, or just someone who wants to explore his work, I would recommend Trouble in Mind. For me it was a great place to start with Jeffery Deaver's work.